While prime minister Narendra Modi is among the top five in the 'most followed' and 'most influential people' list on Twitter, union external affairs minister Sushma Swaraj is the most followed foreign minister worldwide with 24,38,228 followers . 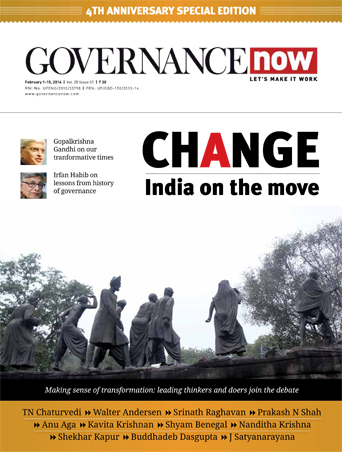 A study by a global public relation and communication firm Burson Marsteller revealed this in the Twiplomacy Study 2015. 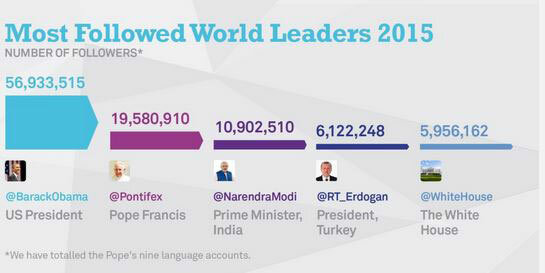 Going by the study, with 10,902,910 followers PM Modi is the third most followed world leaders. US president Barack Obama tops the list with 56,933,515 followers. Pope Francis comes second with 19,580,910 followers. Sushma Swaraj is far ahead of Abdullah Bin Zayed, the foreign minister of the United Arab Emirates @ABZayed (1,608,831 followers) and Turkey’s Mevlüt Çavuşoğlu (@MevlutCavusoglu) with only 376,429 followers. The five most followed world leaders have one thing in common: they have discovered Twitter as a powerful one-way broadcasting tool; they are only following a handful of other world leaders, if any, and are hardly conversational which is almost impossible, given the sheer size of their audience. The study also says that while Obama is still the most followed world leader, Pope Francis is more influential with 9,929 retweets for every tweet he sends on his Spanish account and 7,527 retweets on average on his English account. 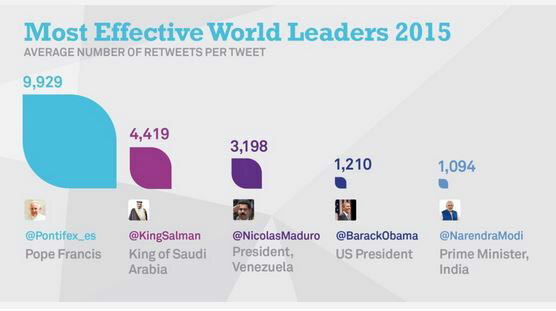 Saudi Arabia’s King Salman is in the second position, averaging 4,419 retweets per tweet, largely helped by his tweet sent on the day of his accession to the throne which was retweeted more than 360,000 times. Venezuela’s President is in the third place, receiving a phenomenal 3,198 retweets per tweet on average, strangely his tweets are favourited ten times less. Obama and Modi are on fourth and fifth position respectively, in the 'most influential world leaders' list.